Spray polyurethane foam (SPF) is a popular material used in the roofing and insulation industries, but it contains a potentially dangerous chemical that can cause asthma and other health problems for those working around it, warns the California Department of Public Health (CDPH). Unsafe work practices and inadequate supervision when applying SPF can result in exposure to methylene diphenyl diisocyanate (MDI), which is part of a larger family of chemicals known as isocyanates. California regulations set exposure limits for isocyanates in the workplace. Even in small amounts, isocyanates can cause asthma, skin and mucous membrane irritation and rarely, a more serious lung condition. Isocyanates can enter the lungs when workers breathe in vapors or mists from spraying. In addition to their use in polyurethane materials, isocyanates are found in paint used for automobiles and planes, and in products such as spray-on truck bed liners, orthopedic casts, and industrial coatings. Isocyanates are toxic until they react with other chemicals to form the hardened or cured polyurethane product. Fully cured SPF is nontoxic, unless it is heated. 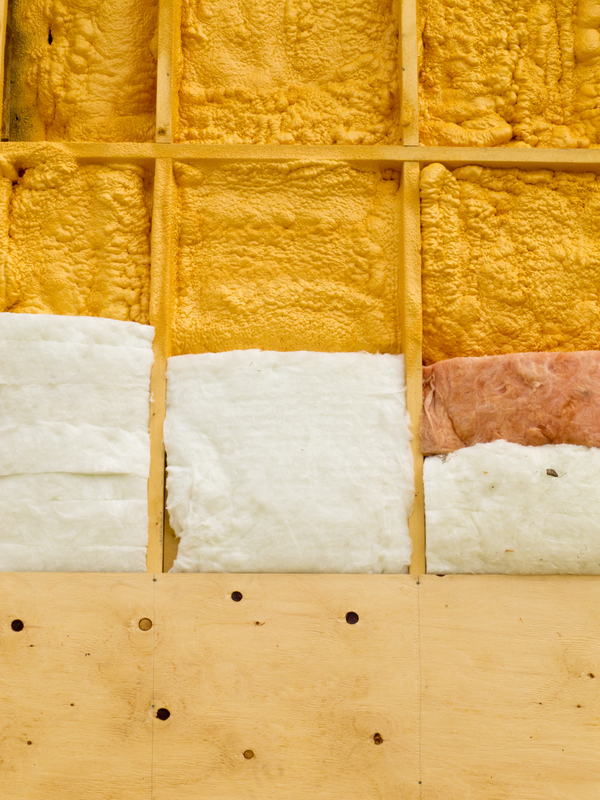 Substitution – Use pre-formed foam insulation rather than spray when possible. For protective coatings over SPF, choose products that are isocyanate-free rather than 2-component spray foams that typically contain isocyanates. Engineering Controls – When applying indoors, isolate operations from occupied areas and make sure there's adequate ventilation. Administrative Controls – Require workers to wash hands before breaks and leaving the job site. Maintain skin protection during cleanup times, and dispose of used gloves/coveralls properly. Training – Review safety steps with workers. Personal Protective Equipment – Require workers to wear chemically resistant, full-protection coveralls during spraying, as well as gloves and respirators. Those spraying outdoors need a full-face, air-purifying respirator with fresh cartridges that must be replaced at specified intervals. A supplied-air respirator is recommended for indoor SPF applications. Please refer to the fact sheet "Isocyanates: Working Safely" for more information.